1) Most of your sales come from existing customers. 2) The best way to increase repeat sales is to focus on cultivating customer loyalty. 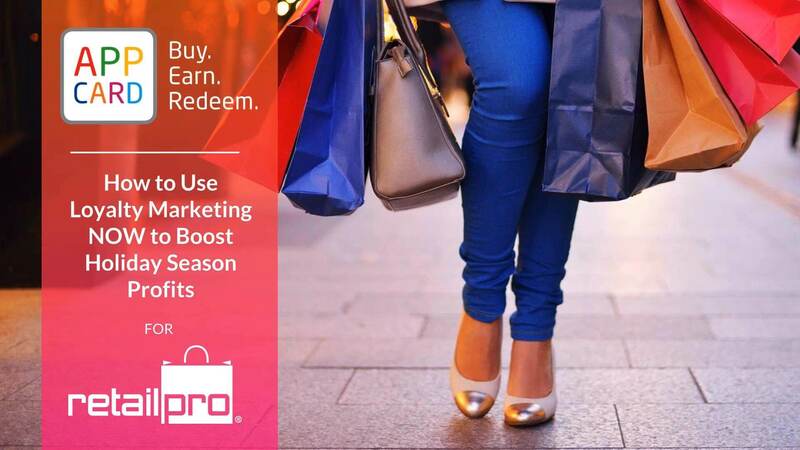 3) Success for your loyalty marketing program depends critically on shopper enrollment. Watch the on-demand webinar to learn proven marketing tactics to increase program enrollment and how to leverage the shopper data you’ll generate to keep customers coming back after the holidays. Request a personalized demo of AppCard for your retail business!